You can find nearly anything in a Dallas bar. That means cheese fries, yes, but also pho and octopus and bison chili. This sandwich is a monster. The base is a crusty baguette from Quoc Bao Bakery. 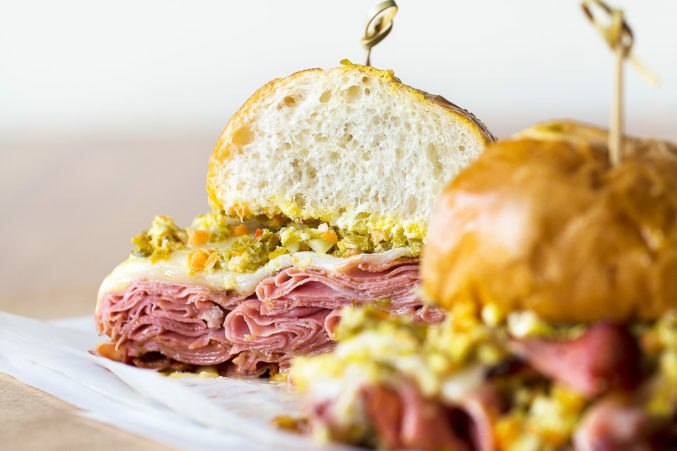 The bread is topped with a mountain of shaved mortadella, jalapeño and pickled giardiniera relish, mozzarella cheese, and ají cream sauce (made from ají amarillo peppers from Peru). A half-pound, which is enough to feed two people, costs $12. A full pound is $20. Pair it with one of the best Bloody Marys in Dallas, and then call your Uber. Shoals. Photo by Catherine Downes. Wednesday is the day to hit this great bar just on the outskirts of downtown. That’s when the $9 bowl of bison chili is half-price and every one of the many drafts are $2 off. The proper Texas chili (no beans) is made with all-natural, grass-fed bison raised at Burgundy Pasture. (The Grandview ranch has a butcher shop, Burgundy Local, right next door to the bar.) The chili is topped with diced green onions, sour cream, and cheese, and it comes with a tiny cornbread muffin. Licking the bowl is a temptation best resisted. Bar manager Jackson Tran learned how to make pho from his mom. The recipe he serves at Cosmo’s is hers—one she cooked in Can Tho, Vietnam, during the Vietnam War, and then at Vietnam Restaurant, which she opened in the Casa View area in 1982. (The restaurant closed in 2000; the unrelated Vietnam Restaurant on Bryan Street is still open.) 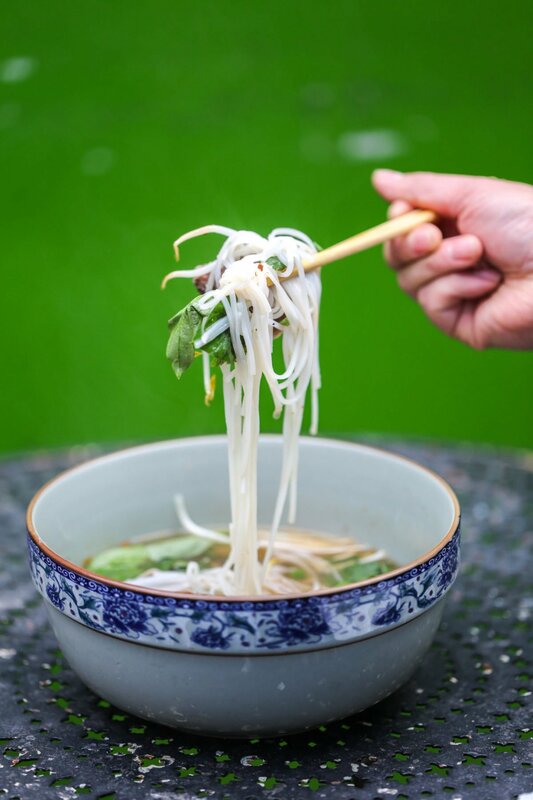 Without giving away his secrets, we can tell you this: this dish takes hours to make, and it’s some of the best pho in the area. Tran cooks the soup in 8-gallon batches, so when it’s out, it’s out. Pho from Cosmo’s. Photo by Catherine Downes. The kitchen of this Spanish-inspired tapas bar is run by executive chef Joel Orsini, whose résumé includes FT33 and CBD Provisions. You really can’t go wrong with anything here, especially after a few glasses of sangria. But one dish we find particularly fun to eat is the pescaditos. Smelt are seasoned with a touch of fennel seed and curry powder, fried, and then tossed in a house pimentón spice and lemon juice. Use your fingers to dip these suckers in smoked paprika aioli, or squeeze the juice from preserved lemons on top. Bonus: the bones are left in, and the soft crunch they supply is extremely satisfying. The food at this agave-focused bar does a solid job of soaking up mezcal. The quesadillas are a favorite. Monterey Jack cheese and a choice of house-made fillings are squished between flour tortillas from Tortillas La Norteña in Oak Cliff. There’s carnitas with a touch of mango, al pastor with grilled pineapple, pollo (brined and confit thighs), pork rojo braised in spicy red chile paste, grilled steak, and a veggie mix (roasted mushrooms, grilled calabacita, roasted poblanos, fire-roasted corn, and red onion). The dish is served with cilantro and a side of crema. This East Dallas dive is known for its corn dogs. But why let a tube of processed meat covered in batter receive all the admiration when there are other deep-fried delicacies on the menu worth clogging your arteries? 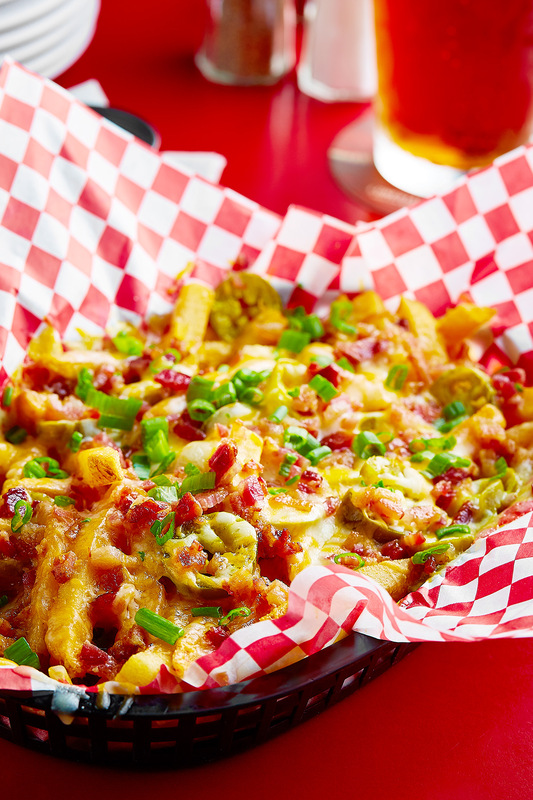 Cue the loaded cheese fries: a basket of French fries smothered in melted cheddar, tender hunks of bacon, pickled jalapeños, and green onions. The mound is served with a side of ranch. You will want a fork. Cheese fries from Lakewood Landing. Photo by Kevin Marple. If we told you that you could get a killer steak at a dive bar would you believe us? The 12-ounce rib-eye steak at Lee Harvey’s is straightforward: a fresh cut of beef is cooked to your liking on an open-fire grill. Our meat was tender with picture-perfect grill marks and came plated with a giant mound of French fries. We paired it with a bottle of Budweiser and recommend you do the same. Chef Abram Vargas’ Hungarian-style pub fare includes lángos (deep-fried Hungarian flatbread) and rántott sajt (breaded and fried cheese), but it’s the charred pulpo that we keep coming back for. 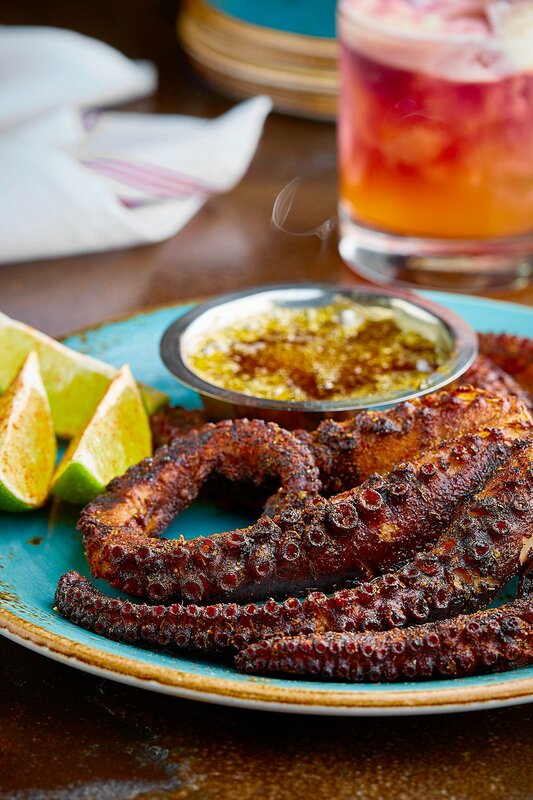 Vargas simmers octopus with a blend of spices, citrus, duck fat, and Champagne. Then he bastes it with more fat and spices, sprinkles Spanish paprika on top, and chars it until the surface is partially blackened. The dish is served with fresh lime to squeeze on top. Armoury DE charred pulpo. Photo by Kevin Marple.